A German Muslim computer scientist has developed a new smartphone application to help millions of pilgrims to find their way in the holy city of Makkah for hajj and `Umrah. “I thought it would be interesting if I could have had a navigation device that could also be a religious guide,” Habiburrahman Dastageeri, a graduate from computer science department in Stuttgart University, told GlobalPost on Sunday, May 27. Dastageeri got the idea for the smartphone application while visiting the holy city of Makkah in 2006 with his family to perform `Umrah. Performing the different rituals of `Umrah, he found it difficult to find his way back to his accommodation. In hajj, the process is even more complicated. Moving from Makkah to Mena tent city, Dastageeri said a plethora of similar-looking hotels have led some people to go lost for up to three days as they try to find their way back to their accommodation. The 32-year-old, who was born in Mainz after his parents immigrated to Germany from Afghanistan, decided to develop a new application to help Muslim pilgrims. “I realized that it was not as easy as I had imagined,” he said. He soon embarked on a Masters program, deciding to develop a prototype GPS system for hajj. It took over two years to develop the “Amir” app, named for the Arabic word for guide. The step-by-step guide helps pilgrims prepare, with a checklist and interactive tutorials, how to perform the rituals. Once they are in Makkah, the GPS navigation system comes into play. The app helps pilgrims find the exact pilgrimage sites as well as how to get back to their tent or hotel room, and other meeting points. “The first big challenge for a pilgrim is to know what, when and where the rituals have to be performed” Dastageeri told GlobalPost. The young German Muslim has consulted with an Australia-based Muslim scholar, Abu Muneer Ismail Davids, who has written numerous books on the hajj, about the new app. “It was really important that there would be neither religious nor technological mistakes,” Dastageeri said. Finishing the hajj iPhone app, it is now available in Turkish, English, Arabic and German so far, and Dastageeri plans to translate it into other languages soon. He is also working on an Android version. The young German Muslim also travelled to Saudi Arabia as part of a business delegation with the finance minister of Baden-Württember state, and held talks with officials about how the app could be utilized in the organization of the hajj. For Dastageeri, the chance to combine his tech skills and his religious beliefs was the main attraction in developing the app. “As a computer scientist, you learn to find solutions to known problems, and the hajj has existed for 1,400 years. Muslims from around the world pour into Makkah every year to perform hajj, one of the five pillars of Islam. 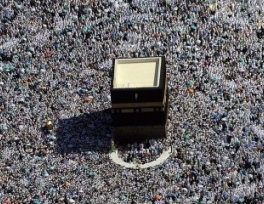 Hajj consists of several ceremonies, which are meant to symbolize the essential concepts of the Islamic faith, and to commemorate the trials of Prophet Abraham and his family. 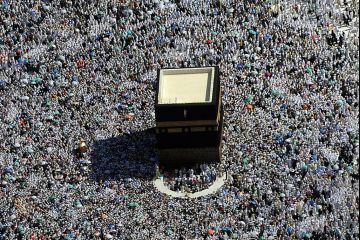 Every able-bodied adult Muslim who can financially afford the trip must perform hajj at least once in a lifetime.